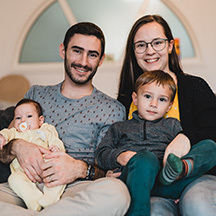 As a youth pastor in Ohio, Peter and his wife Kim first visited Bulgaria in 2009, directing a team of students to lead English clubs and a VBS program. After witnessing physical and spiritual poverty like they had never seen before, the Lord quickly ignited a passion in their hearts to join His work in this beautiful country. They returned the next four summers, each time strengthening existing relationships with Bulgarian pastors and youth, while using the platform of the local church for opportunities to share the love of Christ with individuals. 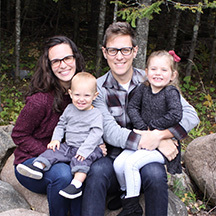 In 2014, Peter and Kim were introduced to Josiah Venture by their pastor and sensed that the Lord was calling them to serve full-time overseas. 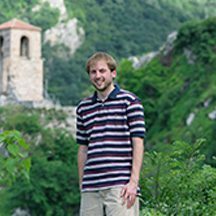 They currently live in Velingrad, but in Spring 2018 will relocate to Vidin (NW corner of Bulgaria), the site of the Starkeys' first trip to Bulgaria almost 10 years ago. While continuing to learn the language, Peter and Kim's desire is to develop a model youth ministry in the local church which will ripple outward in this severely underserved region. 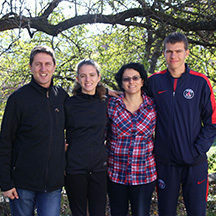 They are humbled to serve King Jesus and daily seek to make disciples by the teaching of God’s Word as they engage youth through sports, music, wilderness, and other clubs and camps in Bulgaria. You can write to Peter & Kim Starkey directly from this page.